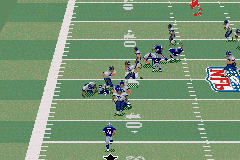 OverviewA football game from EA sports. With commentary from John Madden & Al Michaels and St. Louis Rams running back Marshall Faulk on the cover. To me this one is a challenge to run the football but the passing is nice, plus I love running back and this one has me playing it daily. Nice job Madden! Now you can add videos, screenshots, or other images (cover scans, disc scans, etc.) 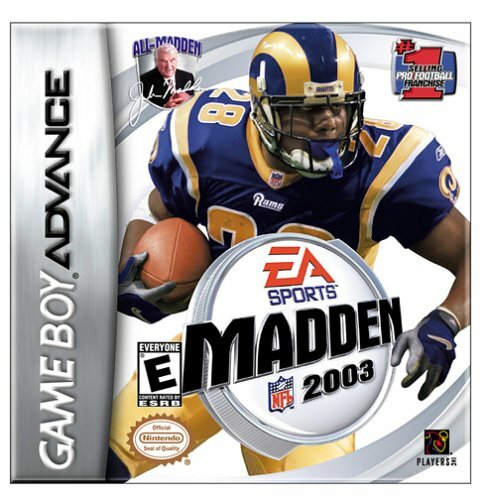 for Madden NFL 2003 (U)(Venom) to Emuparadise. Do it now! 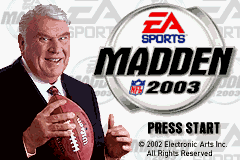 You have the option of playing Madden NFL 2003 (U)(Venom) in your browser, right here at EmuParadise! No need for any software, no installations required, all you need is a fast enough PC and a browser with Flash support. This is great if you're on a PC with restrictions on software installations or want to secretly play at work.